Sealing walls alone may not be an exclusive solution in terms of basement waterproofing. It is mandatory to find out the reason of moisture simmering up to the walls, whether it's the humidity in the environment or are they getting damp because of some external factor. The basement is one of the most neglected parts of the house. Unfortunately, it is also one of the most important. Without it, it will be difficult to see a house standing firm. It is for this reason that it should be protected at all cost to retain the overall integrity of the house. One of the most common foes of basements is water damage. As such, you should be able to prepare for its protection and help ensure it does not succumb to the effects of water damage. Before you can protect your basement from water damage, you have to understand that there are two potential sources of water damage in the basement. One is condensation resulting from the relatively high humid environment of the basement. The other one in the leaking of water from the exterior of the house and into the basement. This means that it is very important to make sure which source of water damage you have in your basement before you can make the necessary remedies. If the problem is the relatively high humidity in your basement, then installing dehumidifiers as well as exhaust fans in your basement may help mitigate the problem of water damage. You can also apply a variety of waterproofing materials on the walls and floor of your basement. These can include concrete waterproofing coatings, silicate-based concrete sealers, waterproof paint, and plastic sheets or panels. For the latter, this will only work if you already have an existing basement drainage system. The best solution is actually dependent on the nature of your basement surfaces. If these are not painted, then a concrete waterproof coating or the use of silicate-containing concrete sealers may offer the best remedy. If the problem is related to water coming from the outside, then you need to take measures to waterproof your basement on its exterior surface. 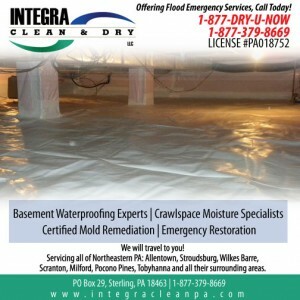 This is one of the most effective ways to protect your basement from water damage. Unfortunately, it is also the most expensive. For this project, you need to expose the full depth of your basement and install a waterproof coating that will form a barrier between the walls of your basement foundation and the external environment. Drainage panels can be added to make sure that water is drawn away from your basement foundation and into a storm drain. Preparing to protect your basement from water damage requires an understanding of the two major sources of water damage. For best result, it is often recommended to seek the services of a seasoned and well-respected basement water damage repair company.